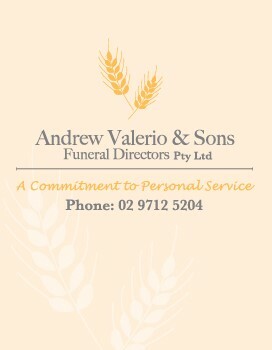 At Andrew Valerio & Sons, we understand that there are momentous events in a life which must be commemorated, and we don’t think perfection is too much to ask for. A funeral is one of these events, and so we work with you to achieve the perfect memorial for your loved one. Flowers and floral tributes are a huge part of this. Simply tell us what you think would be most fitting, and we will work with you as we create suitable tributes in accordance with your needs. Not only does this help you get everything just right, it helps to remove the stress and worry associated with planning and arranging a funeral. To learn more about the floral tributes we can offer, get in touch with the team today.